Dr Lore Vandewalle is an assistant professor of economics at the Graduate Institute of International and Development Studies in Geneva, Switzerland, and one of the members of the recently created Centre for Finance and Development. 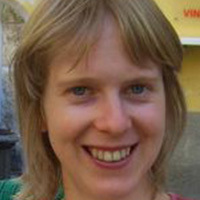 She is also a part-time senior researcher at the University of Oslo. She is a development economist, specialised in microfinance and financial inclusion in India.